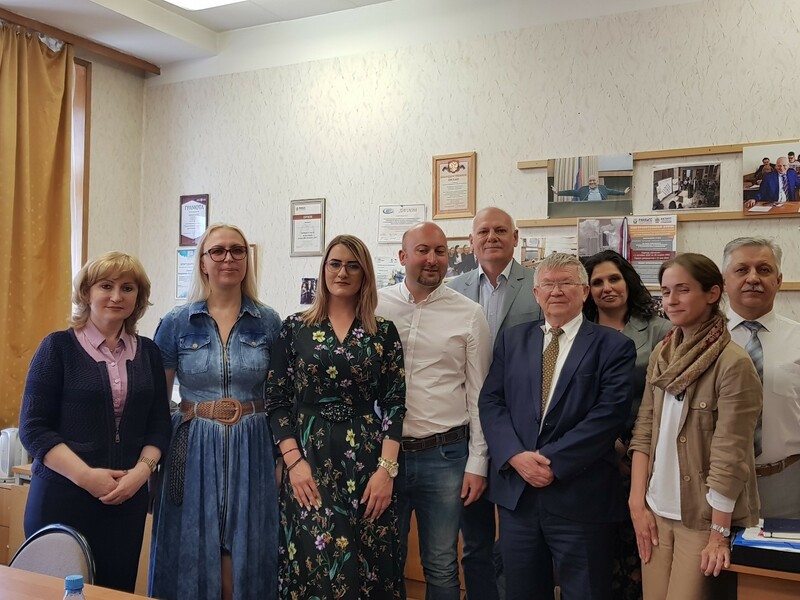 On June 4, a meeting was held between Ioan Dura, professor of Ovidius University, Constanta (Romania), members of the editorial board of the journal «Labour and Social Relations» and heads of the scientific divisions of the Academy of Labour and Social Relations. The meeting highlighted the problems of the education system development, intercultural and inter-confessional communications in Romania and Russia. After discussing the prospects of educational and scientific cooperation with Ovidius University, the parties reached a preliminary agreement on the implementation of joint scientific and publishing projects, including research and publication of their results in the International Journal of Religious and Philosophical Studies (Ovidius University) and the journal «Labour and Social Relations». Summing up the results of the meeting, F.I. Sharkov, deputy chairman of the editorial board of the journal, provost for science of the Academy of Sciences of the Russian Federation, doctor of sociological sciences, professor, honored scientist of the Russian Federation suggested developing a draft cooperation agreement, including internship programs, implementation of the «Double Diploma» programmes in the future and exchange of students in various formats of training. - Member of the editorial board of the journal «Labour and Social Relations».